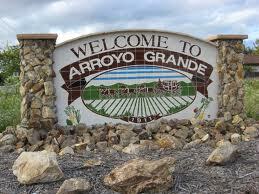 Promoters of a controversial grocery store project in Arroyo Grande asked the council to allow them a two-week continuation in order to provide additional information to council members. Developer Nick Tompkins’ current proposal includes a restaurant, two commercial buildings and a 35,786-square-foot grocery store at East Grand Avenue and South Courtland Street. Approximately a hundred people packed city hall; many were there to voice their views on the project. Bob Boyd, an employee of Spencer’s Fresh Markets, voiced his objections to the project because he felt it would negatively impact the employees of the four grocery stores currently in the neighborhood. “I guarantee there will be jobs lost,” Boyd said. Attorney Russell Read, who represents Del Clegg the owner of Cookie Crock Warehouse, said he had also requested a continuance. Reed asked the council to bring it back to the Planning Commission, which previously approved the project, because the developer had not informed the commission that the project included a grocery store. “It will come back to us on February 8,” Mayor Tony Ferrara responded. City councilman Tim Brown broached the idea of implementing a city ordinance banning any new grocery stores as studies have shown the city is saturated with grocery stores. Oceano flooding – global warming or county airport?